Kashmir is the northernmost geographical region of the Indian subcontinent. Until the mid-19th century, the term "Kashmir" denoted only the Kashmir Valley between the Great Himalayas and the Pir Panjal Range. Kashmir is known or said to be “The land of heaven”. The nature over there gives more peace of mind and the positive energy in oneself, it makes you feel fresh. Kashmir is the land of beauty. An inspiration for so much art, music and poetry, Kashmir is paradise; a nature lover’s wonderland and a shopper’s dream come true. Kashmir is best place for tourism. 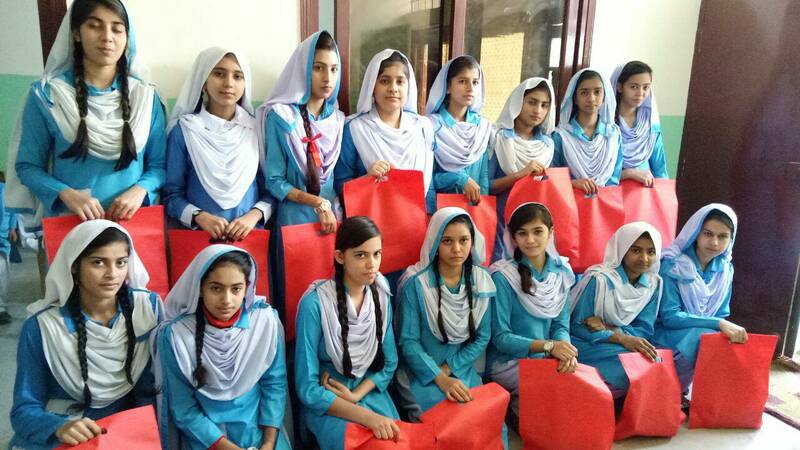 But unfortunately, one might say that Kashmir is not well- looked after in terms of health and education, and that is where HOPE-an educational NGO in Pakistan, steps in. 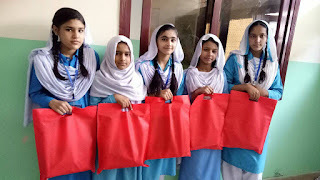 The representatives of HOPE took great pains to climb up those high lofty mountains but it all becomes worth it when those potential, full-of-life and cheerful students are distributed items which brings tears of joy to their innocent faces. HOPE has always been at the forefront of providing education and health facilities in the utmost urban areas where children are deprived of these basic rights and necessities of life. HOPE continues to spread joy and happiness amongst these innocent angels studying at HOPE schools. On day two of the visit, the team visited the schools located in Darabatangi and Habiddori where total 200 students are enrolled, respectively. Darabatangi is 75 km far from the city and 3500 ft above on the mountain, whereas, Habiddori is 80 km far from the city and 3800 ft above on the mountain. Kashmiri’s have a big appetite and love eating rice, their meal is sort of incomplete without a rice dish hence HOPE-an NGO in Pakistan, distributed biryani and juice along with other necessities including school bags, pencil boxes, woolen caps, and socks among the children of HOPE school. The students were very excited and happy to receive the distributed items; the smiles on their faces were explicitly noticeable. Dr. Mubina Agboatwalla- a child specialist in Karachi, along with a few representatives of HOPE Karachi head office, visited the above mentioned areas where HOPE schools are functioning fairly well and providing high quality education to the underserved population of Pakistan. Educators have long known that arts can contribute to student’s academic success and emotional well-being. 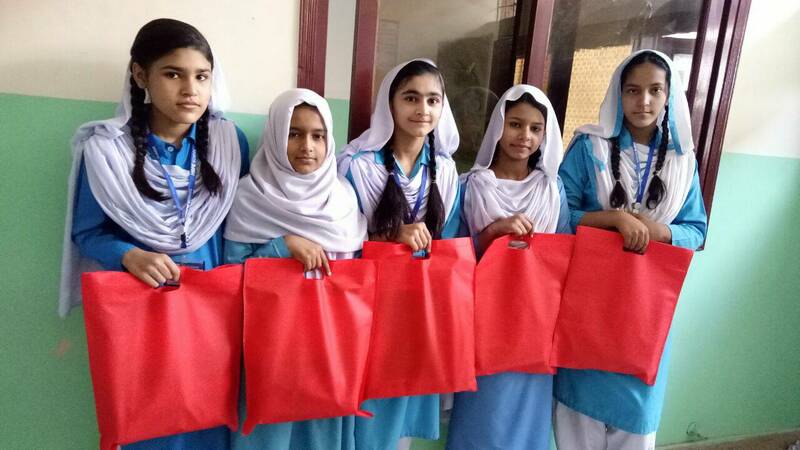 Hence, HOPE - an educational NGO in Pakistan, has always given importance to arts related activities for the underprivileged students studying at HOPE Schools, so that they never feel that may are being left behind in any sphere of life. The Toyota dream car art contest is a global contest organized annually by Toyota Motor Corporation (TMC), Japan with about 80 countries participating in the competition. Japan and Indus Motor Company (IMC) has been organizing it in Pakistan for the past 5 years as part of the global Toyota initiative. This global contest is intended to create opportunities for children, offering them a platform to develop their interest in cars and expressing their creativity and imagination by drawing the “car of their dreams”. Each year TMC pays a visit to HOPE Zia colony school where children are briefed upon instructions relating to the art competition and about how Toyota makes dreams come true by making specific dream cars. This year round, TMC also added in aspects of regularity and punctuality. They promised to reward those children who maintained 100% attendance. 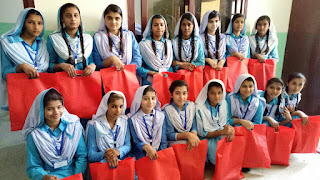 100 students of HOPE school Zia colony received gifts from classes IV to X. These gifts included black and white boards, color pencils and pencil boxes. Most of these gifts were bagged by girls of HOPE school. HOPE- an NGO in Pakistan welcomes any such institute or organization which helps boost the confidence of children and motivates them to do better and dream even bigger. HOPE, conducted the gift giving ceremony on the 11th of January ’18, where three representatives of TMC led the ceremony leaving all the students elated and encouraged to maintain regularity. Dr. Mubina Agboatwalla- a child specialist in Karachi, facilitates and encourages all such ceremonies which empower and motivate students to perform better. Mesmerizing snowcapped mountains, fast flowing River Jhelum and Neelum, beautiful fruit trees and streams, all together make Kashmir a natural wonderland. Despite this magnificence, the people of Kashmir are deprived of a lot of blessings of life. To help the deprived community of Kashmir region and extend a helping hand towards the deserving community, HOPE - an educational NGO, established formal and informal Schools in Kashmir. Some of the schools are till tenth grade while the others are Primary Schools. Kashmir is a mountainous area comprising of various districts, located in the northern areas of Pakistan. This area is underdeveloped and in much need of proper health facilities. On the other hand, illiteracy is also prevalent here and if institutions exist, the harsh weather makes it impossible to reach there. The mountainous region of Kashmir is definitely breath-taking but the people who live in these areas face a lot of hardships. Life is actually very tough in these areas. Half of the year it’s extremely cold there. Most of the villages on mountains have no electricity, no central heating system; children may develop pneumonia and other illnesses because of the cold weather. The place like AJK with high lofty mountains, the most effective system of education is home school system because if you were to construct schools in different mountains it would be very costly. Hence, if you have a home school, it’s much more cost effective. You can have many schools set up across the mountains. Especially if we are targeting the girls’ education, it is easy for the girls to go to a school in their neighbourhood. The weather is very predictable there. Rains and snowfalls are a routine. Hence, it’s easier for the children to reach the schools which are located in the centre of their neighbourhood. The chairperson of HOPE, Dr. Mubina Agboatwalla visits these schools every year along with other members from HOPE Head Office to make sure the schools are functioning the way they are supposed to. On this visit, the teachers also put their concerns, if any, in front of her which are addressed right away. This year, on day 1 of the visit, the team visited the schools located in Malsi and Thotha which in total enrolled about 165 students. Gifts packs, Biryani and warm clothes including socks were distributed among the children which brought them great joy and happiness. Awareness and orientation programs were also conducted regarding PNG purifiers from which parents and relatives, of those children studying in HOPE’s school, benefitted. Each family was provided a purifying kit that consists of: Cooler, bucket, muslin Cloth, spatula and 120 sachets. HOPE reaches out to all those areas where no one has ever been to, other than for tourism. These high lofty mountains contains a bulk amount of children in dire need of basic necessities. 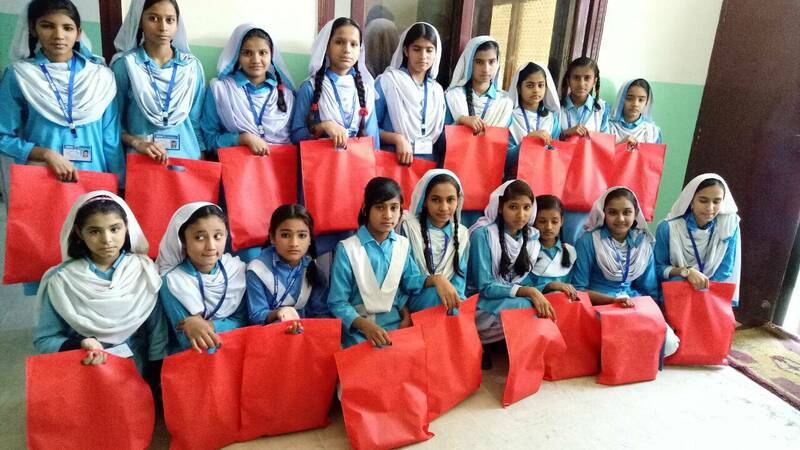 HOPE- a charity in Pakistan steps in to cater to these children’s and women’s basic educational and health rights. Due to the harsh weather conditions which the people of Kashmir fall prey to every December, warm clothing is a must. Under the guidance of Dr. Mubina Agboatwalla- a childspecialist in Karachi, members of HOPE team visit Kashmir every year and distribute warm clothing, books, pencil boxes, stationary to students of HOPE schools.